Switzerland is a highly interesting market: its economy has long been renowned for its developed service sector, with its banks gaining the country an impressive reputation in its financial industry. The Swiss economic miracle is based on the intensive development of country’s intellectual potential. QRP International aims to develop professionals to facilitate changes through its Training, Certification and Consultancy services in Best Practice Management Methods. We are specialised in supporting organisations developing their personal skills and successfully implementing Best Practices. 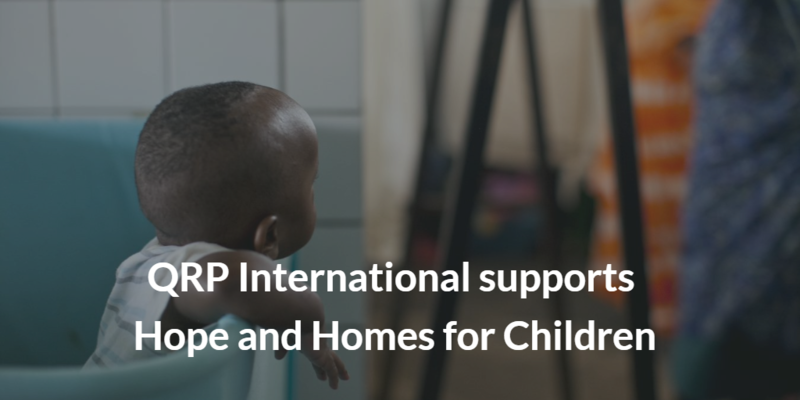 Since its foundation in 2000, QRP has grown rapidly year after year: We built our international experience and expertise by delivering training to professionals and organization in 42 countries and in 8 languages. We have trained more than 20.000 delegates in order to support their business objectives on a global scale with a local presence. Our team is made up of trainers and advisors with international experience and different backgrounds: they have developed their expertise in satisfying clients’ expectations and delegates’ NEEDS. Our head offices are in Como, Paris, Brussels, Cologne and now in Switzerland. “QRP aims to be at the forefront of change management. As our core purpose says: we develop professionals to facilitate change. Together with the historical leader in project management in Switzerland PROFEO AG we are pleased to launch our services with a completely new website under a new name PROFEO-QRP. Having all the 3 language capabilities needed in the house with qualified trainers and consultants we are ready to serve the market with the major methods to manage change: from AgilePM to PMP and from PRINCE2 to ITIL. Our collaboration with PROFEO AG will extend to a wider offering of consultancy services in 2019. Please enjoy our wide range of courses under PROFEO-QRP in your language of choice. Our Mission: Why Training in Project Management? Our mission is to support individuals and organizations in the development of skills for implementation of Project, Programme, Portfolio and Change Management. For this purpose, we provide high quality in all of our services: from the analysis of clients business needs to the tailoring of the services offered. Our quality is guaranteed by our experience in the industry: with 18 years of activity we know what is required to make training successful. But the key factor to our success is our people: our train-the-trainer programme and extensive internal training programs make our staff highly skilled and our team deeply motivated. Working at QRP means for us to help professionals build news opportunity. We have passion for change and improvement. Our mission statement is ‘helping companies to get better communication across departments, to save time and money throughout the project’s life and to give agility to processes’. We believe that companies could improve their overall business performance thanks to Training, Certification and Consultancy services in Best Practice. We’ve helped thousands of professionals improving their skills. Our Work: How Do We Help Professionals to Develop? QRP goal is to provide information and to create awareness on the importance of setting a strong method for your projects and portfolio. We organize free events where professionals can network with peers, share lessons and experiences and ask finally their questions to the experts from the field. We strive to provide you with the most updated information about Project, Programme and Portfolio management. We would keep you update with the latest market trends and give you the big picture of the PPM world. Do you believe that we can help you improving your career or the project’s life of your companies? Please contact-us and we will reply you as soon as possible. Agile’s influence on the project management industry continues to rise at pace. More organizations and project professionals than ever are embracing Agile tools and frameworks as they aim to increase the success of – and return on investment from – projects and other change initiatives. 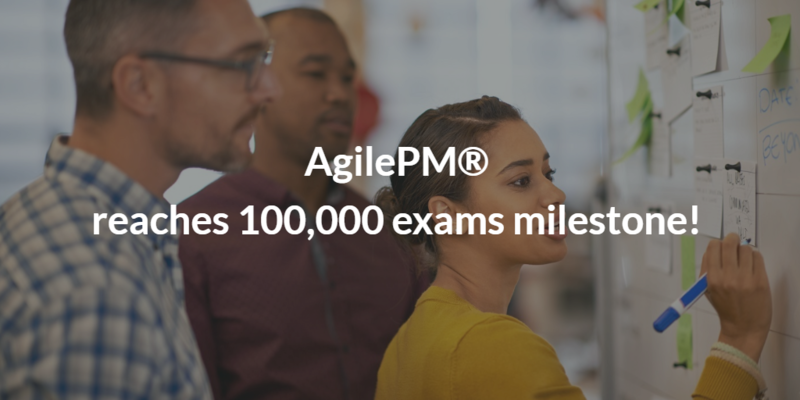 Since its introduction in 2010, AgilePM has fast established itself as the leading framework and certification for agile project management. Published by the Agile Business Consortium, AgilePM guidance offers a practical and repeatable methodology that achieves an ideal balance between the standards, rigour and visibility required for good project management, and the fast-pace, change and empowerment provided by Agile. It offers a structured and scalable corporate Agile framework based on proven practice. 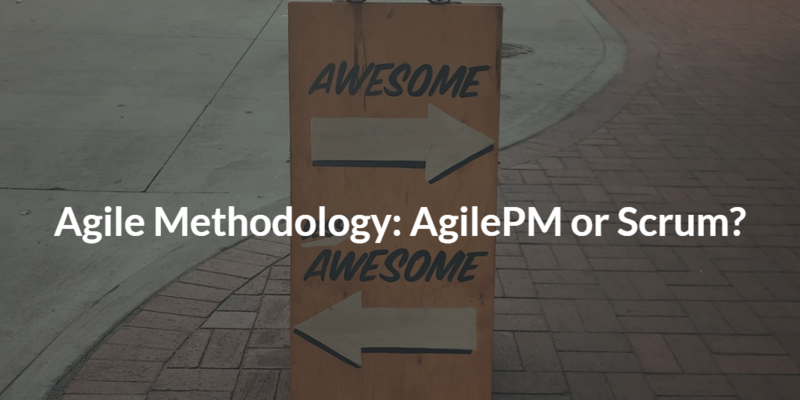 But why has AgilePM proven so popular? Here are some of the key features that contribute to its success. A tried and tested corporate approach: AgilePM is essentially a project manager’s subset of the Agile Business Consortium’s wider Agile Project Framework. The framework – established for over 20 years and regularly refreshed – provides governance and rigour along with the agility and flexibility demanded by organizations today. Addresses the full project lifecycle (beyond product development): AgilePM offers a mature Agile approach that, whilst offering agility and flexibility, retains the concepts of a project, project delivery and project management. It goes beyond the realm of Agile product development approaches such as Scrum. Quality & governance controls: One of AgilePM’s underlying principles is Never Compromise Quality. In an AgilePM project, high-level acceptance criteria is agreed at various stages throughout the project lifecycle, from initial requirements at the feasibility stage, to objectives for each stage of product/solution development. Risk management: AgilePM provides practical ideas for managing risk, directly addressing many of the common risks associated with projects. The Project Approach Questionnaire provides an effective starting point for creating a clear, shared understanding of project risks and their mitigation. Clear roles & responsibilities: People working together effectively is the foundation of any successful project. AgilePM recognizes this and assigns clear roles and responsibilities to each person in a project, representing business, solution/technical, management and process interests. Popular agile practices incorporated: AgilePM incorporates and encourages a range of popular agile practices to support effective product and solution development, including MoSCoW Prioritisation, Timeboxing and Iterative Development. NEED TO TRAIN YOURSELF AND YOUR TEAM? 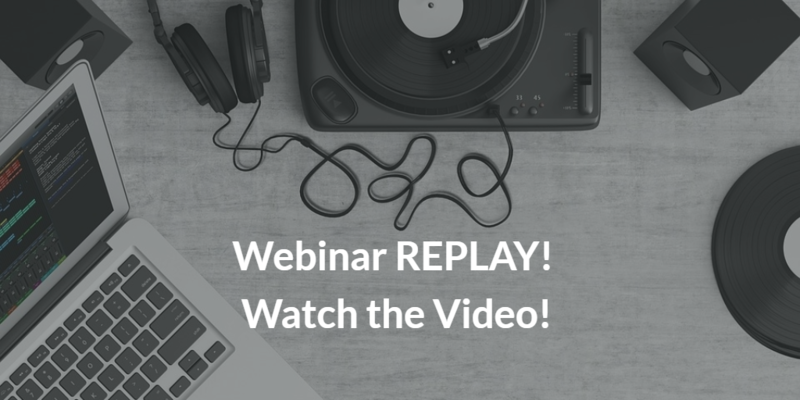 Together with our expert trainers and consultants, we run several webinars during the year, in several languages, trying to cover all those topics that are particularly relevant for your professional growth: from Project management (PRINCE2 as well as Agile methods), to Programme, Portfolio,PMO Management and IT Service Management..
ITIL is a best practice framework that has been drawn from both public and private sectors internationally. It describes how IT resources should be organised to deliver business value documenting the processes, functions and roles of IT Service Management (ITSM). 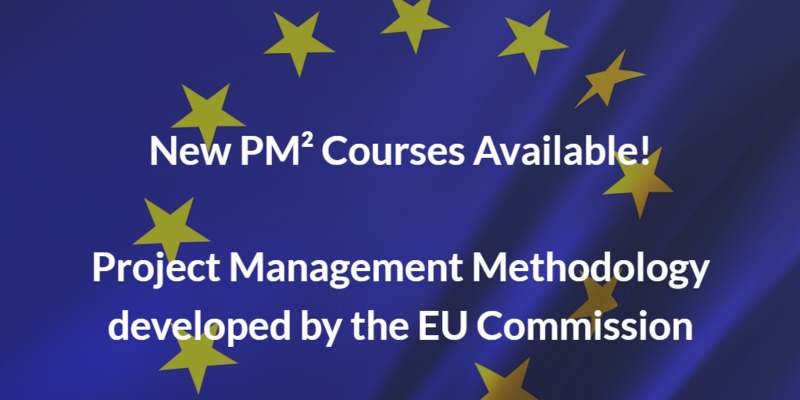 New PM courses: PM² Project Management, the PM methodology developed by the European Commission. QRP International is proud to announce the launch of new PM courses: PM² Project Management, the PM methodology developed by the European Commission. Until the end of 2016, PM² methodology and certification was only available to EU institutions’ staff. With the OpenPM², the EU Commission decides to provide open access to the PM² Project Management Methodology beyond purely EU institutions and including Contractors, Member States and finally all EU citizens. This open initiative help establish a common project management language and process for projects across organisations, increase effectiveness, collaboration efficiency and success in the coordination of projects in the EU. This unique course is particularly relevant for those organisations and people involved in international collaborative EU funded projects or willing to apply for EU grants. Stay Ahead! Register for the first PM² Courses! Now that you know about PM² courses, and the launch of this open initiative from the EU Commission, don’t miss your chance to stay ahead with your PM skills: register for one of the two sessions planned for this year! Feel free to get in touch to have more info on PM². What does it take to become Agile? Internal capability, skills and commitment to implementing change constantly, allowing the business model to evolve to meet the needs of a fast-changing market place. These perceptions share a positivity about ‘agile’, it is clearly perceived as a good thing. At the same time, this highlights that there are different interpretations of what Agile means, different ideas about how to adopt it and therefore different methods and frameworks that could be chosen. Agile Project Management (AgilePM®) is an innovative approach to project management and an actual Project Management method. It helps people work effectively together to achieve business goals. This guidance provides the ability to deliver Agile Projects in organizations requiring standards, rigour and visibility around Project Management, while at the same time enabling the fast pace, change and empowerment provided by Agile. Agile Project Management is the result of the collaboration between APMG International and the DSDM Consortium. Scrum is an Agile framework for completing complex projects. Scrum method originally was formalized for software development projects, but it works well for any complex, innovative scope of work. WANT TO KNOW MORE ON THESE AGILE METHODS? We can help you identify the right Agile method for you and your organization: use this form to get in touch!